Amanda Bergson-Shilcock and the National Skills Coalition (NSC) last Friday released a new report, At the Intersection of Immigration and Skills Policy: A Roadmap to Smart Policies for State and Local Leaders, which illustrates various strategies states and localities are implementing to improve access to education and workforce for immigrants. The report focuses on the fast-growing phenomenon of state Offices of New Americans and city Offices of Immigrant Affairs, and their intersection with public workforce and education agencies as these offices are most frequently the implementer of inclusive policies around education and workforce. Rust Belt leaders have a large part in leading the way. Almost half of the examples NSC uses in the report to highlight strategies are taken from cities and states in the WE Global Network 10-state region (IL, IN, IA, MI, MN, MO, NY, OH, PA, WI). A primary goal of WE Global is to help facilitate best practice sharing across the region so that effective strategies can help communities new to the movement develop their own local initiatives. WE Global is grateful for partners like Amanda and NSC that are analyzing immigrant integration initiatives to understand their impact and transfer the learnings of these pioneers to other communities to help them build more inclusive communities and economies. As Welcoming Week (September 14-23) prepares to kick off, with hundreds of events scheduled around the country, National Skills Coalition is releasing a new report that gives state and local advocates fresh ideas for advancing policies to improve immigrant access to workforce and adult education services. At the Intersection of Immigration and Skills Policy: A Roadmap to Smart Policies for State and Local Leaders focuses on the fast-growing phenomenon of state Offices of New Americans and city Offices of Immigrant Affairs, and their intersection with public workforce and education agencies. The report gives advocates practical examples of how state and local officials have invested in immigrant workers’ skills through programs and policies to date, and offers policy recommendations for how advocates can further advance immigrant workforce issues in their own communities. The report is relevant both for states and localities that have immigrant affairs offices, and those that do not. 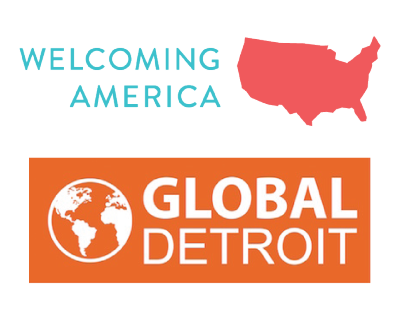 Six states and 30 cities now have immigrant affairs offices, while more than 90 communities have launched “welcoming” initiatives, some of which are housed within municipal government. Skills issues are a notable and growing focus for many of these offices, both in response to constituent requests (e.g., for more English classes) and as a result of the overall direction and agenda set by the governor or mayor when establishing the office. Similarly, workforce issues are also on the radar screen for many local welcoming initiatives. At the Intersection of Immigration and Skills Policy includes select examples of policies advanced by immigrant affairs offices to support the education and workforce goals of state residents, and provides recommendations for those offices to further expand their efforts. For established offices of immigrant affairs: 1) designing formal mechanisms for immigrant-affairs offices to participate in workforce and education policy decision making; 2) exploring how non-skills issues can be a gateway to foster connections with other public agencies; 3) capitalizing on the convening power of public agencies; and more. For newly created offices of immigrant affairs: 1) Consider housing the office within a labor, education, or economic development agency; 2) build inclusion of US-born community members in from the beginning; 3) rather than fighting for a programmatic budget, fight for a seat at the table and ability to be a creative policy entrepreneur; and more. For workforce and education agencies: 1) “Cross-fertilize” business leaders’ input on immigration and skills policy goals; 2) incorporate an immigrant lens into state and local workforce data policy; 3) ensure that immigrant-owned businesses are specifically included in education and workforce policy efforts; and more. View the complete recommendations and an array of examples from Maryland to Michigan and beyond in the full At the Intersection of Immigration and Skills Policy report.